The age-old saying “education is power” is the driving force behind everything that Stuart Foundation President Jonathan Raymond does. Through curiosity and care, Jonathan has worked to transform the way we perceive learners and the learning environment. By taking on challenges while providing a reliable safety net of support, Jonathan’s educational philosophy allows kids to develop resilience, respect, and a drive for self-improvement. 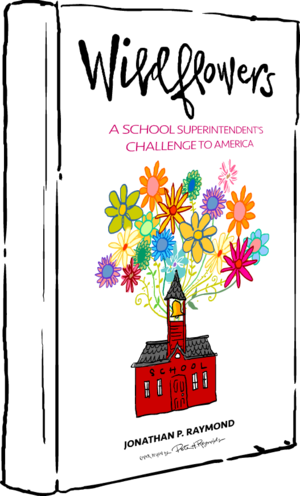 FableVision Studios is currently collaborating with the Stuart Foundation and The Forum for Youth Investment to put the spotlight on Jonathan’s new book, Wildflowers: A School Superintendent’s Challenge to America. 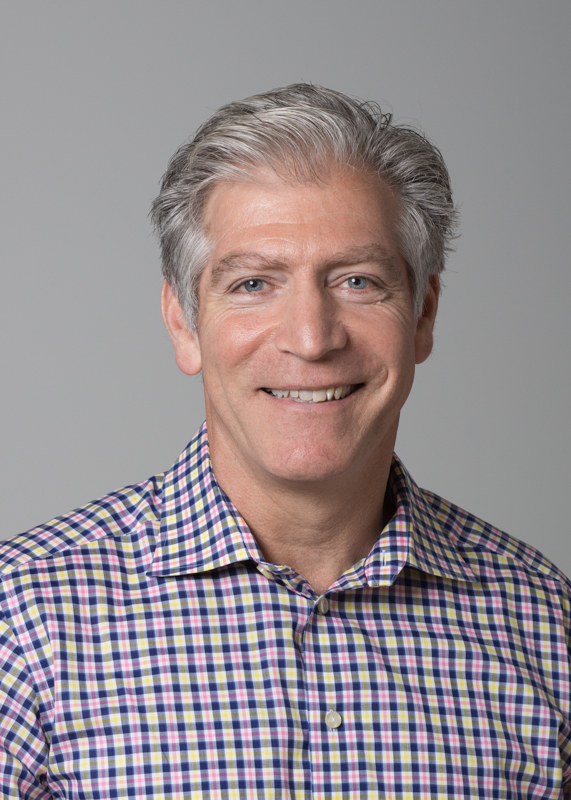 Building on foundational efforts by groups such as ASCD, CASEL, the Aspen Institute National Commission on Social, Emotional, and Academic Development, and others, Jonathan’s book features his experiences as a school superintendent as he put Whole Child into action. 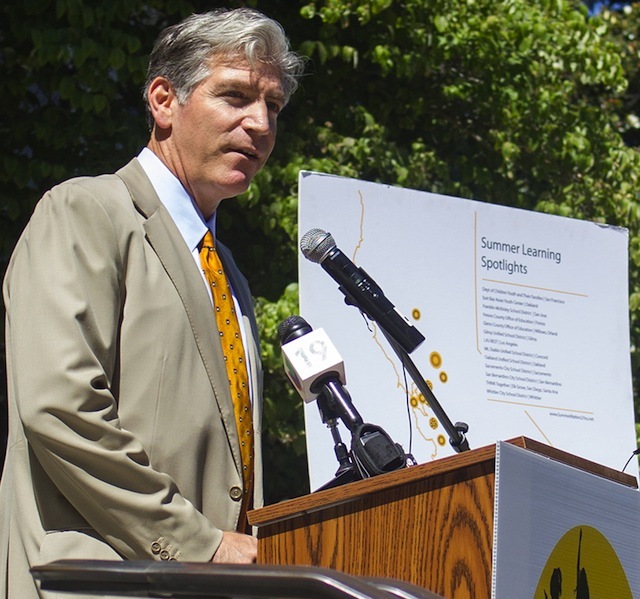 As he shares, while implementing the Whole Child approach presented its share of challenges, he is proud about the transformative impact it had on education in the Sacramento City Unified School District (SCUSD), one of the top 1% of largest school districts in the country and one of the most impoverished and ethnically diverse. By cultivating a much wider, more inclusive, and synergistic learning climate, Jonathan showed how an entire community can work toward uniting around education’s # 1, driving priority: fulfilling each child’s unique requirements to grow educationally, emotionally, and socially into the most powerful version of themselves. 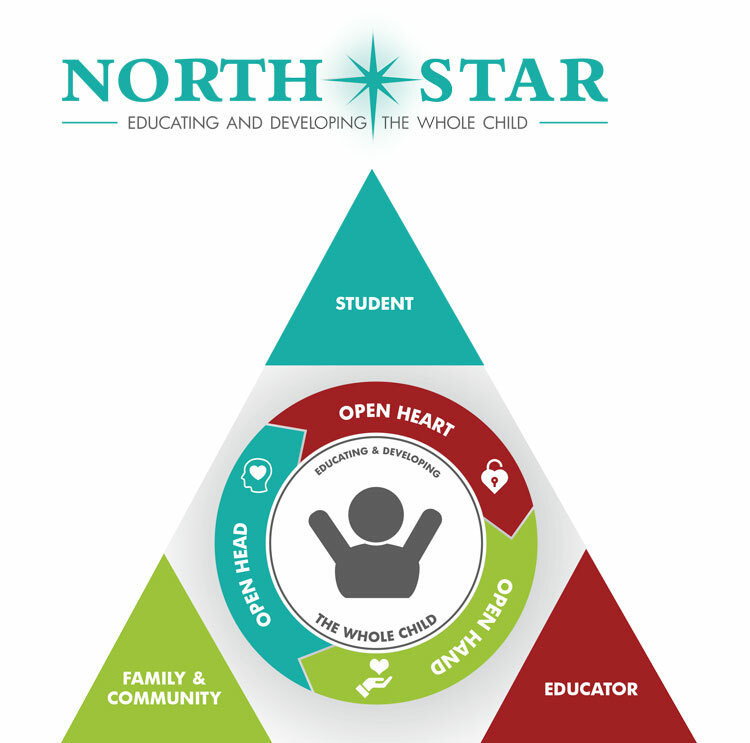 Pushing kids to find their inner drive is at the heart of the Stuart Foundation’s “North Star” mission. Jonathan knows that the first step in helping students unlock their endless potential is by believing that it’s possible. He explains that, “we need to start expecting more from our kids and believing they are capable, competent, and responsible.” By creating adult-student relationships that are free of hierarchy and full of support, Jonathan helps students reach their greatest potential. From a kid hungry for knowledge, to Sacramento Superintendent, and now President of the Stuart Foundation, Jonathan’s had an exciting array of experiences in the education world. Read on to find out the origins of Jonathan’s passion for education, his guiding values for education reform, and a few of his favorite children’s books! 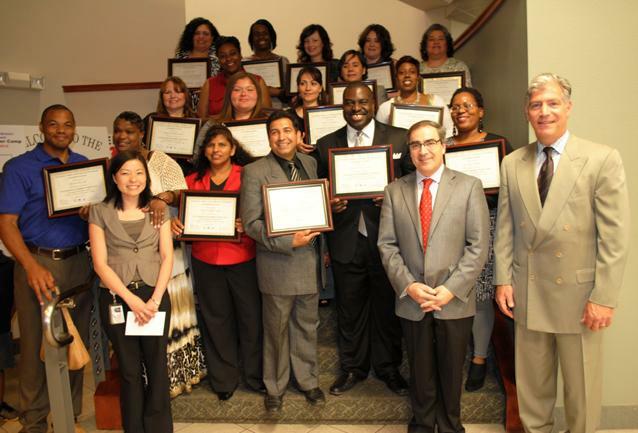 The Stuart Foundation focuses on district education systems and statewide policies. Tell us a little more about the values this foundation upholds. We have several values at the Foundation and the two that stand out most for me are being bold and persevering. E.A. Stuart, the founder of the Carnation Company, was a risk taker. He also failed at earlier business ventures before Carnation. Through it all, he believed in the importance of education, helping those least able to help themselves, and good old fashioned hard work and “stick-to-it-ness.” Today, we make sure to keep these values alive in all we do. You have a deep history of working to enact change in the education space – tell us a bit about your journey to where you are now! I’m fortunate that I had two parents who believed in the importance of education and giving back to the community – particularly my mother. This all became very real for me in the 6th grade when my parents received a call from the principal in my school explaining that “young Jonny wasn’t reading at grade level, perhaps he had a learning disability, and we want to send him back to 5th grade.” Thank goodness my mother was skeptical and decided to have me tested by an expert. After two days of testing – the two best learning days of my life – he shared “there’s nothing wrong with this kid except that’s he’s bored. He needs to be challenged and pushed.” Sound familiar? Luckily for me I moved to a new school where I met my first great teacher, Mr. Harry Boyadjian, who turned the “light bulb of learning” on for me. I’ve never looked back since then. I’m grateful that I’ve found my calling as an educator. Being impatient and loving a challenge, reimagining public education is the perfect place for me to give back. How has your past experience informed how you approach your role as President of the Stuart Foundation? One of the best things I bring to my role at the Stuart Foundation is my practical experience running a complex urban school district. I’m a bit of a novelty (some might say maverick) in the philanthropy world. I like to think this helps to keep the work of the Foundation grounded in the realities and urgencies facing children in public education. One of your goals as President of the Stuart Foundation is to hold schools to a higher standard, and you’ve had real results! How do you come up with and implement innovative programs to help better the schools you work with? It all starts with children. When you put children at the center of the work and think about what is best for them, and engage and empower and hold them to high expectations, lots of solutions and natural partnerships begin to emerge. Sometimes we have to be patient, but it all starts with having an unyielding belief in the unlimited potential of all children. In other words, you have to believe it BEFORE you see it. Your collaboration with FableVision on Wildflowers has been multifaceted, from an animated trailer, to a website, to customized marketing collateral – what has the process of working with the FableVision and The Forum for Youth Investment teams been like? We all just clicked. It’s like we had this special connection that drew us together around the urgency of finding a better way to educate children. We trusted each other and our ideas. We started with a vision of what this partnership could be and from there we gathered energy and momentum. I know I sound like a broken record, but it’s true. It starts with belief. Like Michelangelo said, “I saw an angel in the rock and craved to set it free.” From Paul and Peter and Karen and our respective teams, we are all connected and united around creating a better way to educate children. When you have something that grounds your work – that is so foundational and fundamental – you feel anchored. Whole Child. Whole Family. Whole Community. What could be more timely and important? How do you think we can build schools that are capable of giving kids the kind of cultures and climates that support their voice, presence, and learning interests? This isn’t so complicated. Start by believing in children and giving them a voice and presence. Start asking them what they are interested in and genuinely listen. Start expecting more from our kids and believing they are capable, competent, and responsible. We get great things from kids when we push and pull. It’s amazing what’s possible when we begin forging trusting relationships between adults and children. Boston sports team: The SOX! Place to eat in San Francisco: The House. A tiny Asian/Fusion spot, nestled among Italian eateries off of Columbus Ave, in North Beach. Yummy good! Peter H. Reynolds book: The Dot – here’s to making your mark! Wildflowers exemplifies the importance of tending each child’s unique needs. This book was written to spark conversations and inspire thoughts and ideas on how to educate and develop our children in ways that return them to the center of the learning process, with unwavering belief in and expectations for their success, and an unyielding commitment to give each child what he or she needs.